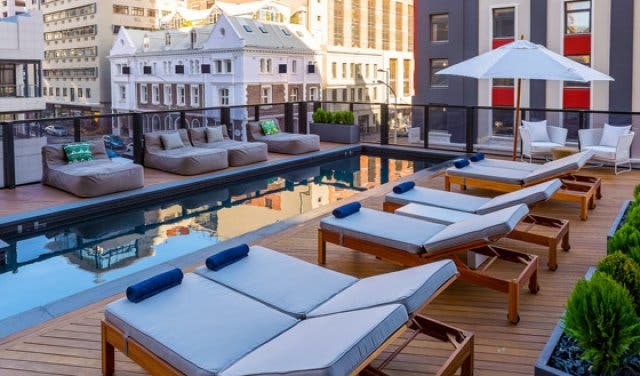 Poached tiger prawns with epic city views, rooftop poolside pizza and luxury rooms with complimentary shuttles to the V&A. The Radisson Blu Hotel & Residence Cape Town is like a haven of luxury amidst the buzz and excitement of the inner city. 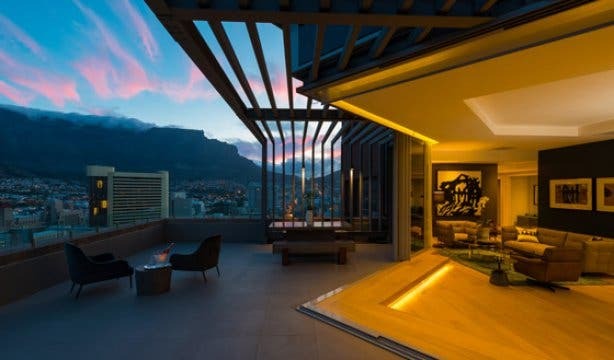 With 226 gorgeous hotel rooms including the penthouse apartment, decorated in art deco style and a range of residential apartments, this is one special place to enjoy both the vibe of the city and beautiful views of Table Mountain and the Atlantic Ocean. 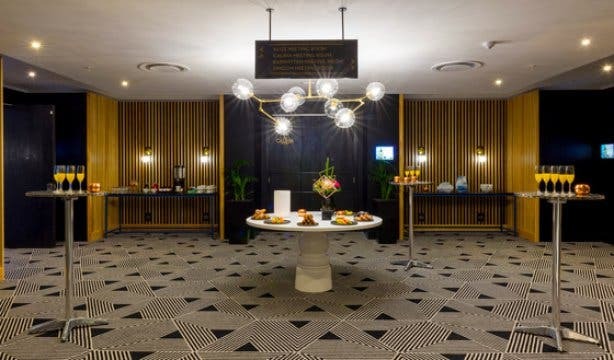 The rooms inside the Radisson Blu Hotel & Residence have all the amenities you need such as a Smart TV, high-speed Wi-Fi, minibar refrigerator, a butler station and even USB charging points to make things even simpler. 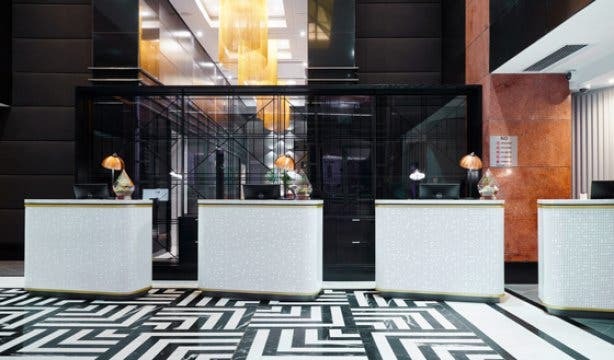 You can choose between two different rooms – Standard and Business Class. 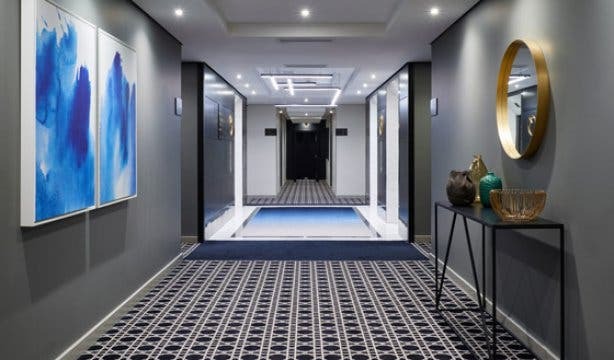 The Business Class rooms offer extras such as a robe and slippers, a daily newspaper, a pod coffee machine, and limited mini bar refreshments. 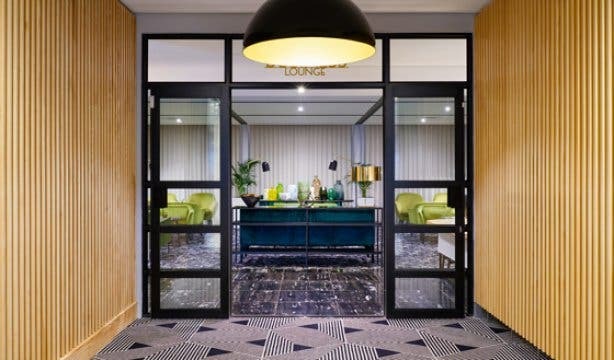 The Business Class room also gives you access to the Business Class Lounge, which has its own bar and lounge-like working area for when you want a change of scenery while putting in some extra time. 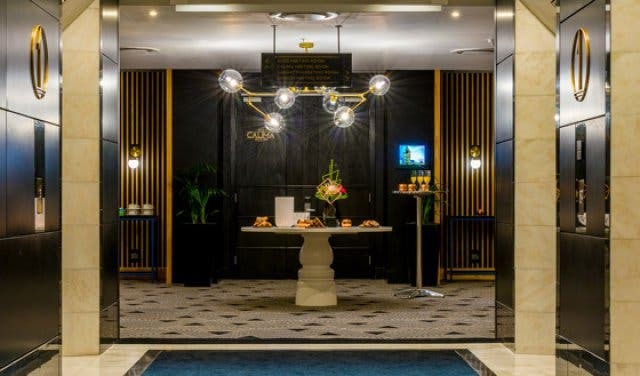 Aside from the rooms, Radisson Blu has a range of perks that make the stay there even more convenient such as complimentary shuttle tours to the V&A Waterfront, 24-hour room service with a delicious menu, a state-of-the-art fitness center and a stunning swimming pool on site. 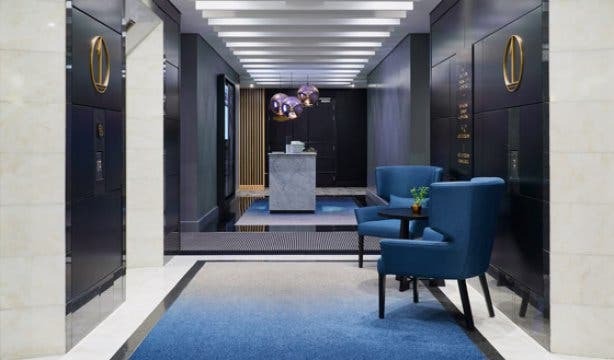 And if you are there for business, there are many additional service offerings such as a three-hour express laundry, Grab-n-Run breakfast for those who don’t have time to sit and enjoy breakfast and express check-out. The Radisson Blu Hotel & Residence’s flagship restaurant, the Stratus Room, has decor that resembles a contemporary cafe and is open for the breakfast buffet, lunch, and dinner. Menu items include scrumptious butter poached tiger prawns, oxtail ravioli, and their very special rooibos cheesecake. 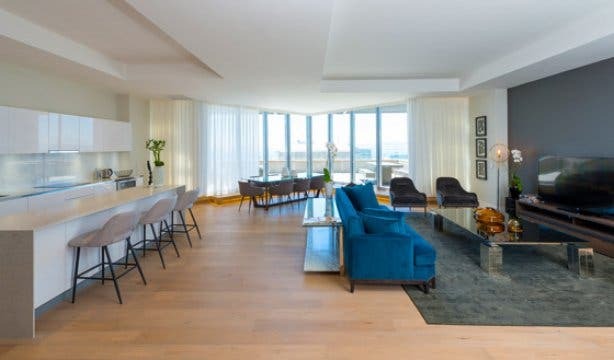 The Stratus Room has an impressive wine list and a menu that includes pasta, soups, seafood, meat and vegan and vegetarian options. With a warm and inviting ambiance, the Stratus Room is elegant and smart, but comfortable enough for you to enjoy a good meal. 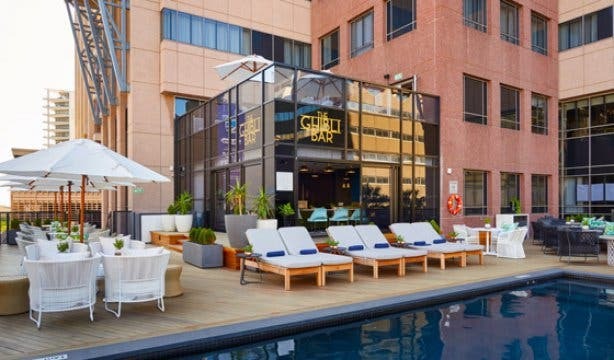 Another attraction at the Radisson Blu Hotel & Residence is the ultra-stylish Ghibli Bar and Pool Terrace where you can laze by the gorgeous pool while sipping a delicious cocktail. With its unique decor and welcoming feel, the Ghibli Bar is where you stop for a casual drink or to catch up with friends. The Ghibli Bar also offers value-for-money meals such as wraps, sandwiches, salads, ribs, burgers, pizzas and desserts. Usually, patrons of the Radisson Blu enjoy grabbing a slice of pizza before soaking up the sun’s rays by the poolside. 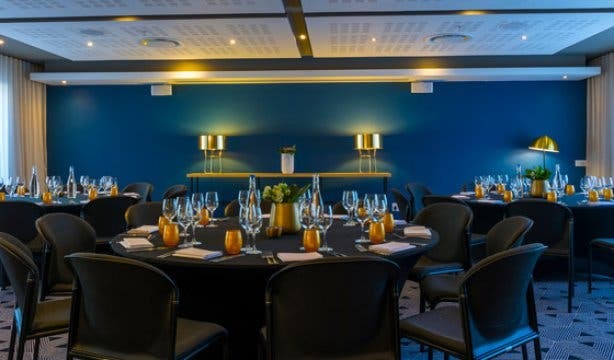 Tip: If you are planning to host a function or a conference, the Radisson Blu Hotel & Residence has five conference rooms and two executive boardrooms available for hire. 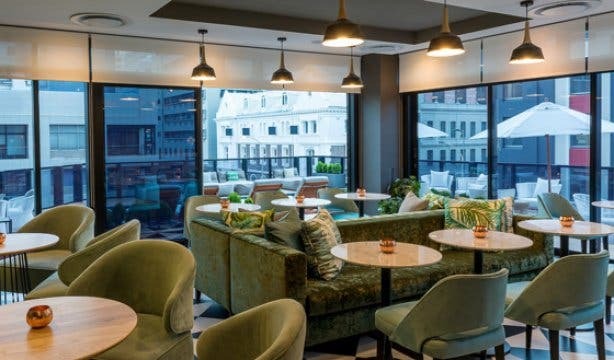 Radisson Blu Hotel & Residence and Meerendal Wine Estate have also joined together to provide a unique Stay, Dine & Wine Experience.